Ann Steinmetz has been serving on the Board of Directors of Breast Cancer Angels since July 2014. Ann was born in Southern California and raised and educated in the Los Angeles area. In 1967, she moved to Orange County where she and her husband raised their three children. 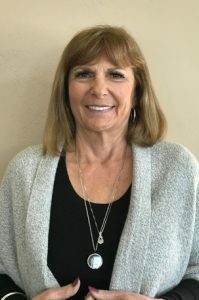 Ann is involved with her church and community and has actively participated in leadership roles within her family’s education, sports and scouting activities. Ann is a proud grandmother of eight and has continued her active involvement within their nearby communities as well. In 2000, Ann joined as a charter member of Breast Cancer Angels, and in 2002, she and her beloved husband Jim formed “Claus for a Cause LLC” to raise funds solely for Breast Cancer Angels. Ann is dedicated to the continued success of this organization and holds a special place in her heart for the many women and families that BCA assists.